This monastery church once belonged to Franciscan Monks and dates back to medieval times. It is one of the most well preserved monasteries in Sweden. Today it houses the St. Peter’s church as well as a museum. According to written accounts from the 1300’s, the monastery was founded by a donation funded by a knight called Holmger and his wife Katarina in 1267 and inaugurated by the Bishop of Reval. From the outset it belonged to the Franciscan order, popularly known as grey friars hence the sname of the monastery. It functioned as a friary for friars. Throughout the middle ages, several documented donations to the monastery took place. 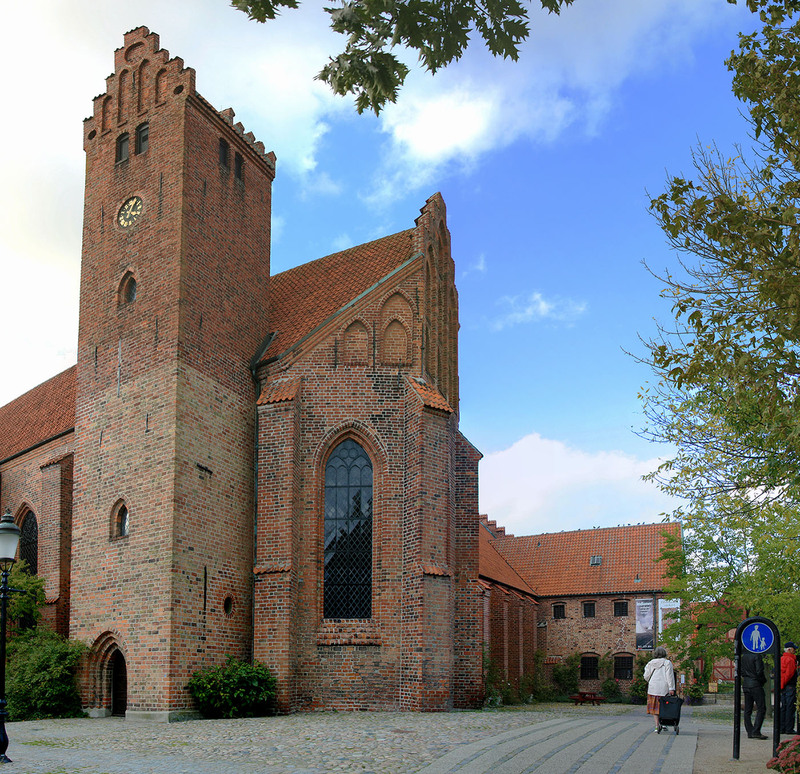 In 1532, amidst the reformation in Denmark, the Danish king Frederick ordered the Franciscans to leave the monastery. They were, however, not allowed to leave in peace as the citizens of Ystad took the matter into their own hands and forcibly evicted them on March 24th, 1532. The building was subsequently transformed into an almshouse. Little is known of the building’s fate during this time, but probably during the early years of the 1600’s, the western and northern wings were pulled down possibly due to lack of funding for maintenance. The brick was most likely sold as building material and used in the construction of some nearby castle or manor. At some point, it became a hospital it seems. In 1658, Denmark handed Ystad over to Swedish authorities following the Treaty of Roskilde. In 1777, the hospital closed and the premises were taken over by the state-owned distillery, but at the state abolished its alcohol monopoly in 1786, it became a grainery instead. In the early 1800’s, the structure was left to decay. In 1877 the city government purchased the old friary with plans alternating between restoration and demolition. It was only in 1909 that restoration work finally began.